Corneal disorders are diseases that affect the cornea in your eye. If you’ve been diagnosed with a corneal disease you’ll likely have a few questions. To help guide you, we’ve complied a few of the most frequently asked questions on corneal diseases. Before we begin though, let’s take a look at what the cornea is exactly. What is the cornea of the eye? The outermost layer of your eye is the cornea. It’s kind of like a dome-shaped cover which protects the inner parts of the eye. Our corneas are clear and seemingly flimsy. But although they don’t seem like much, corneas play an important role in eye health. In fact, your corneas do more than just act as a shield, they also work at refracting light. This means that they are critical when it comes to your vision, too. Corneas are made up of groupings of protein and cells. Unusually, the cornea does not contain any blood vessels like most of our other tissues. Instead, our corneas rely on tears and the fluid that sits in special areas behind the cornea itself, for nourishment and protection. Each of our corneas have five layers, and each one has its own important function. Corneal disorders can affect both the surface layers and the deeper layers. Now that we’ve taken an in-depth look at what the cornea is, let’s go over the five most frequently asked questions about corneal diseases. 1. What would happen if the cornea was damaged? If damage is caused to the cornea, either by trauma or as the result of corneal disorders, your cornea may become scarred. If corneal scarring occurs then there is a risk that your vision may become affected. 2. Can a damaged cornea cause blindness? Unfortunately, yes. A cornea which has been damaged can be a cause of blindness in some people. 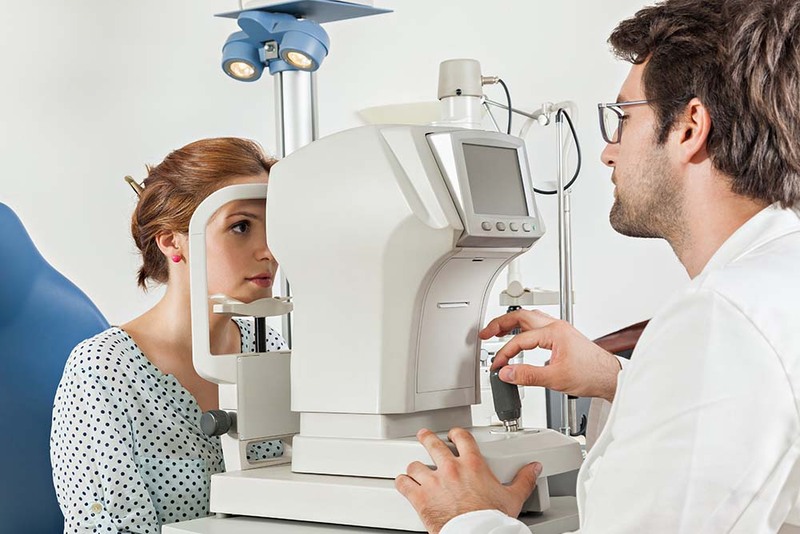 There are a lot of different conditions which can cause the kind of corneal damage that leads to blindness. These conditions include infectious corneal diseases, such as infectious keratitis, and non-infectious conditions. Non-infectious reasons for a damaged cornea include inherited and degenerative conditions. It should be noted that patterns for blindness caused by corneal disorders vary according to environment. In the developed world, corneal diseases are often diagnosed and treated in time, before lasting damage can occur. 3. Do corneal scars fade? Some corneal scars fade with time as the cornea heals itself. This is, however, dependent on the depth and the severity of the scarring. If multiple layers have been damaged, the scar may take longer to fade, or it may never fade. 4. Can Herpes damage my cornea? Yes, the herpes simplex virus, the same virus responsible for cold sores, can damage your cornea. Corneal disorders can be infectious and the herpes virus is one of these infectious conditions. it is called the herpes zoster ophthalmicus virus. Swift treatment with antiviral medications reduces the chance of lasting corneal damage as a result of the herpes virus. If you suspect you may be suffering from a corneal disease, or have questions about a damaged cornea, please come and see us. While corneal disorders can be debilitating, swift diagnosis and treatment minimise the chances of lasting damage.